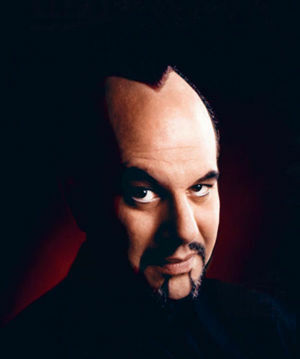 August 1st-4th will be the PCAM (Pacific Coast Association of Magicians) convention. It is being held at the Los Angeles Marriott Burbank Hotel a healthy ‘Toppit Throw’ from the Burbank Airport. I am very excited to be attending the event. The very first convention I attended in the USA was the PCAM and I had a blast, and I am expecting nothing less with the 2013 convention. For a smaller regional convention the talent line up is staggering, I guess the proximity to the Castle doesn’t do any harm in this area. The event kicks off on Thursday the 1st at 3.00pm and then moves into gear between 7.00-9.00 PM with a Welcome Party that features a No Host bar and a Nacho Bar. A Nacho Bar—you have got to love Los Angeles! No word on whether the Nacho Bar is hosted or not, but it will include a Larsen Family Tribute. Mental note to self—Don’t imbibe to heartily at either the alcoholic or nacho bar on that opening night party, there is a Dealers Show from 10.00-11.30 that night and I will be in it. 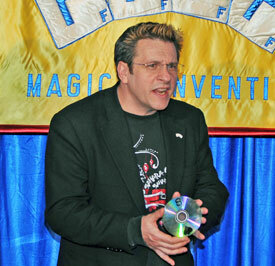 I will be demonstrating some of the new items from my online magic store. I fondly remember how much fun and excitement Ken Brooke used to create at Dealers Shows when I was a youngster; if I avoid that second plate of nachos I hope to do the same. The talent pool of lecturers is dazzling for this years convention and features, Tim Mannix, David Gabbay, Howard Hamburg, Max Maven, Johnny H, Ice McDonald, Shawn Farquhar, David Regal and Paul Green. Read that list again and tell me that it doesn’t make you want to rush to http://www.pcam2013.com and see about registering for the event. That is a mighty distinguished group of lecturers. There are also ‘day’ and ‘event’ passes available for interested local magicians. Two major evening shows are being held on the Friday and Saturday night featuring; Jimmy H, Andrew Goldenhersh, Shawn Farquhar, Rob Zabreky, Trever & Lorena, Paul Green and Ice McDonald. There are many other great shows, contests and events to enjoy during the convention and they are all listed on the convention web site. I am rather excited because my goal in attending the event is to do a live introduction of my new product line from Lewin Enterprises, my online magic home of the ‘Nick Lewin Ultimate’ line of magical releases. I have been busy lining up exciting props, books, DVDs and routines and this will be the first time I have presented them live. I will be attending the PCAM convention with my wife and partner Susan; known to many magicians as ‘Mrs. Nick,’ joining us will be Rolando Medina. Rolando is head of visualization and chief ‘Maker’ for our product line. Medina has just relocated from San Antonio, Texas to Las Vegas, he is an awesome manufacturing wizard and we are proud to be working with him as our right hand man. Visiting with us will be another key member of our team Steve Mitchell; we couldn’t spend four days in Burbank and miss the opportunity to dine at ‘The Smoke House’ with Steve. Mitchell is a master of graphics, marketing, design and anything else artistic. Without Steve’s involvement I would never have embarked on ‘Lewin Enterprises.’ Knowing Steve was right by my side to tell me when I am doing something dumb has been a wonderful and reassuring thing. One member of our team who will not be in Burbank is Miko Montgomery, who is our head of Video Production. Miko is a really gifted filmmaker who I am thrilled to be working with. We just completed a DVD detailing the Slow Motion Newspaper Tear I have been closing my act with for thirty years. The video is just great and makes a really classic magic effect possible without most of the learning curve you would expect. The DVD will be available for the first time at PCAM 2013 and available online soon after. ~ by Nick Lewin on July 11, 2013.